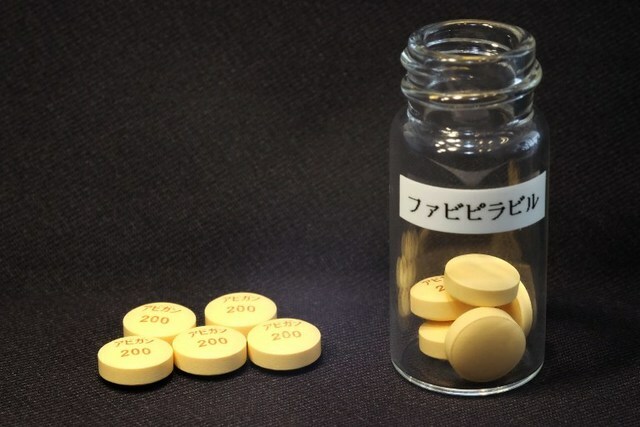 This handout picture released by Japan's Fujifilm Corp. on October 22, 2014 in Tokyo shows Avigan tablets – approved as an influenza drug in Japan, now being tested as an Ebola treatment. PARIS, France – An Ebola candidate treatment yielded "encouraging" results in a trial with 80 patients in Guinea, with faster recovery rates observed, the French government and medical research agency Inserm said Thursday, February 5. No scientific trial data has been made public, but the preliminary results are the first to show efficacy of an experimental treatment for the Ebola virus which has infected 22,495 people and killed 8,981 in the worst outbreak in history, according to the latest tally by the World Health Organization. "Encouraging results of the trial" with Japanese-manufactured anti-viral drug favipiravir "will be submitted shortly to a scientific journal for publication", an Inserm statement to Agence France-Presse said. The French government said in a separate statement that faster recovery rates were reported among the 80 infected adults and children who received the drug. The results "show a reduction in the number of deaths among adults and teenagers, with slower virus multiplication. Recovery is accelerated," said the Elysee palace. The head of France's Ebola Task Force, Jean-Francois Delfraissy, and Inserm head Yves Levy briefed President Francois Hollande and government officials on Wednesday, it added, and described the results as "an important step forward". Inserm is in charge of the trial at a treatment centre in Gueckedou in the east of Guinea – one of the three countries, with Liberia and Sierra Leone, hardest hit by the outbreak. The trial, which started on December 17, was conducted in partnership with Guinean researchers and authorities, non-government organizations, the French Red Cross and aid group Doctors Without Borders (MSF). It is the largest clinical trial yet with a candidate Ebola treatment, the French statement said. Favipiravir, also known as Avigan, is developed by Toyama Chemical, a subsidiary of Fujifilm Holdings. Inserm said the scientific results will be made public once they have been officially reviewed and validated by the scientific community, which could happen by month's end. The drug has already been administered as an emergency treatment to patients evacuated from West Africa to Europe, though this was not part of an official trial. It has commercial authorization in Japan as a flu medicine, and large doses can be made quickly available – an advantage over other experimental treatments, like ZMapp, of which stocks are limited. The Elysee said the results gave rise to "hope", but cautioned they have to be confirmed with a larger group of trial patients. "These early results open new avenues for access to treatment in the fight against this disease," it said – adding the outcome will be discussed Thursday at a meeting between Guinean President Alpha Conde, Delfraissy and Levy. There is as yet no licensed vaccine or treatment for Ebola.